The ZAGG Slim Book keyboard and detachable case is the ultra-slim solution to users’ mobile typing needs. 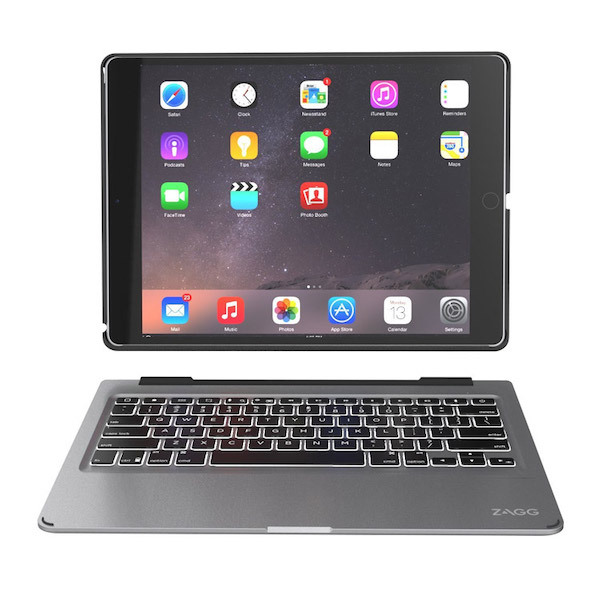 Its unique hinge secures a tablet at virtually any viewing angle and allows for a convenient keyboard, video, and book mode, it also folds flat for a protective case mode. The Slim Book is powered by one of the industry’s most powerful batteries that keeps users typing for up to two years between charges. Thin: Its ultrathin design is easy to carry while on the go. Bright: Backlit, island-style keys maximize space for faster, more natural typing, even in low-light situations.